This article by Manlio Dinucci on the website VoltaireNet.org reminds us of the carnage brought fought by the US and of it's barbaric underpinnings and they are not just of the most recent election cycles. 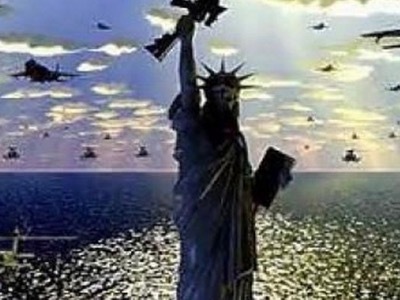 n the summary of its last strategic document - 2018 National Defense Strategy of the United States of America (of which the entire text is classified) - the Pentagon claims that « after the Second World War, the United States and their allies installed a « free and open international order in order to safeguard the freedom of the people from aggression and coercion », but that « this order is presently undermined by Russia and China, who are violating the principles and rules of international relations ». This is a total reversal of historical reality. To this estimation in the study we must add a non-quantified number of dead, probably hundreds of millions, which have been caused, from 1945 until today, by the indirect effects of wars - famine, epidemics, forced migrations, slavery and exploitation, environmental damage, subtraction of resources from vital needs in order to cover military expenditure.